A complete data center mainly includes power supply system, wiring system, air conditioning system, cabinet system, and network system, these nouns are indispensable important part in the daily work of data center. A qualified data center practitioner can only master these common nouns and some design ideas, in order to be familiar with the data center management, operation, and maintenance. 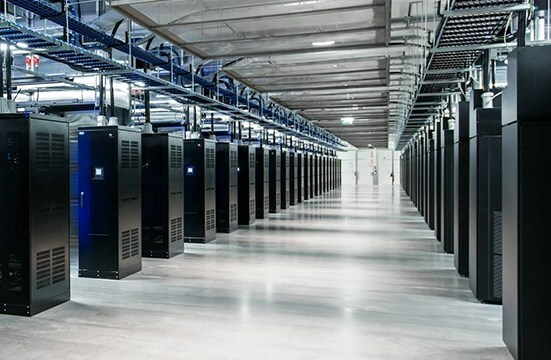 The data center usually refers to the centralized processing, storage, transmission and exchange of information in a physical space, and computer equipment, server equipment, network equipment and storage devices are usually considered as the key equipment of the network core room. The environmental factors required for the operation of critical equipment, such as power supply systems, refrigeration systems, cabinet systems, fire protection systems and monitoring systems, are generally considered to be key physical infrastructures. Mainly used for electronic information processing, storage, exchange and transmission equipment installation and operation of the building space, including the server room, network room and storage room and other functional areas. For the installation, commissioning, maintenance, operation, monitoring and management of electronic information equipment and software, including in-line, test room, monitoring center, spare parts storehouse, printing room and maintenance room and other areas. Support and ensure the completion of the information processing process and the necessary technical operations of the place, including variable power distribution room, diesel generator room, UPS room, battery room, air conditioning room, power station, fire facilities, fire and security control room. A place for day-to-day administration and management of managed equipment, including staff offices, foyer, duty room, washroom, locker room and user’s studio. Redundancy is a component of a repetitive configuration system that, when some parts of the system fail, the redundant components are involved and assume the work of the faulty parts, thereby reducing the system’s failure time. The system meets the basic requirements, adding X units, X modules, X paths or X systems. Failure or maintenance of any X units, modules, or paths does not cause the system to be interrupted (X = 1 to N). Fault tolerant system is a system with two or more sets of the same configuration, at the same time, at least two sets of systems at work, each system is (N + M, M = 0 ~ N) structure. The faulty system configuration of the site equipment, at least withstands a serious burst of equipment failure or human operation errors without affecting the operation of the system. The relative humidity represents the ratio of the water vapor partial pressure Ps in the air to the saturated vapor pressure Pb at the same temperature, i.e., φ = (Ps / Pb) x100%. A state function that represents the energy of a material system in thermodynamics, indicating that all of the heat energy contained in the working medium is equal to the product of its volume and absolute pressure, the common symbol H.
The amount of moisture in the air in a confined space, room, or area at the time of the unit is called Humidification, and the unit is kg/h. The ratio of refrigerating capacity to the power consumption of refrigeration when the air conditioner is running under rated condition and specified conditions. Under the nominal working conditions specified in the relevant standard, the amount of refrigeration (heat) expressed by the unit in the same unit is divided by the ratio of the total input power. The total amount of heat removed from the room during the year-round refrigeration is the ratio of total energy consumed. The total amount of heat removed from the confined space, room or area within the unit time of the air conditioner under the rated operating condition and the specified conditions is kW. In the specified refrigeration capacity under the experimental conditions, the air-conditioning machine from the computer room or base station to remove the heat, the unit is kW. Under the specified refrigeration test conditions, the total power consumed by the air-conditioning unit in the room is W.
The air conditioner is used for indoor and outdoor air exchange. The ventilation doors and exhaust doors (if any) are completely closed and the air volume in the enclosed space, room or area per unit time in rated cooling operation is in m3 / h.
The ratio of the total cooling capacity of the air conditioner to the air volume per hour is in W / (m3 / h) under the specified cooling capacity. The static pressure difference between the outlet of the unit and the outlet of the unit, in Pa.
Room air conditioning is a high reliability, high sensible heat and other characteristics, and can automatically adjust the air conditioning parameters and parameter detection, fault alarm display and power failure from the start of intelligent control functions such as air handling device. General air volume is larger, air handling enthalpy difference is small, significant heat ratio, suitable for data center room use. The hot/cold channel is the layout of the server cabinets and other computing devices in the data center. For the forward and rear air cabinets, the adjacent two cabinets are facing back and forth facing each other. The air intake channels of the two rows of cabinets from a cold The tuyere channel forms a hot aisle. The hot channel cold channel construction is designed to conserve energy and reduce cooling costs by managing airflow. A cooler that cools the ethylene glycol solution (or water) with heat in the radiator from the outside air. The cooled glycol solution (or water) can be used to cool the cooling medium of the refrigeration system, or the low-temperature season is used to cool the circulating air in the machine room. Referred to the as dry cooler. In the air-cooled, water-cooled room air-conditioning heat treatment side of the air treatment channel, and then add a set of cold water coil, the cold water provided by other cold sources, can be achieved in different cold air cooling machine room air conditioner. The use of outdoor low-temperature air as a cold source to cool the data center method, can effectively reduce the data center cooling system energy consumption, reduce the mechanical cooling of the running time. Computational Fluid Dynamics (CFD) is a numerical experiment, computer simulation, and analysis of various problems in fluid mechanics by using a computer as a tool and applying various discretization mathematical methods. For data center, it can be used as an effective method to design and optimize the data center air conditioning system by calculating the fluid dynamics, simulating the flow velocity, temperature field and pressure distribution in the data center. To protect the safety of persons and equipment for the purpose of grounding.